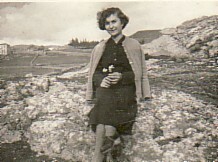 Above: A school photograph. 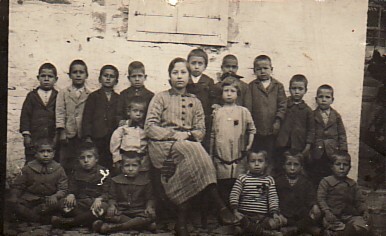 Christos is sitting first from the left. Above: With his brother, Efstratios (right). Above Right: On his way to Australia (right). 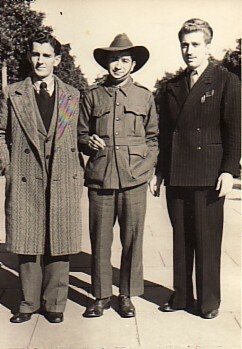 Above Right: Serving in the Australian Army (Land Corps) during World War II. 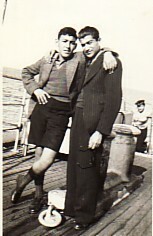 With compatriots, Giorgos Konstantellis (left) and Ioannis Goudis (right). 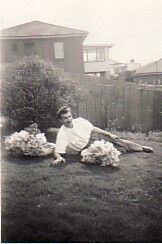 Above: His brother, Ioannis, who had also migrated to Australia in the early 1950's. 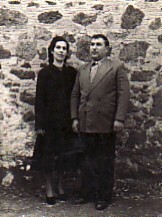 Above Right: His brother, Ignatios, and his wife, Anna. 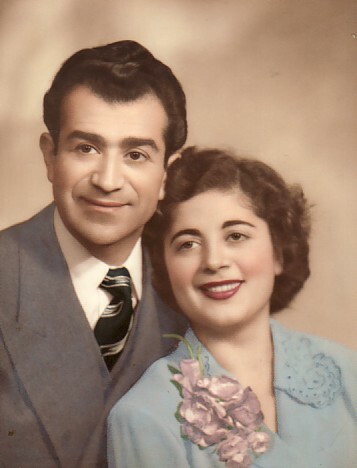 Above: Engagement photograph with Angeliki Lyratzi. 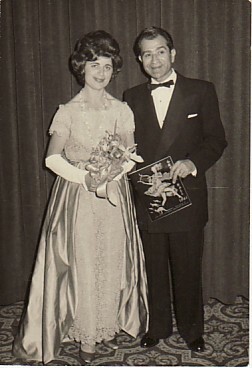 Above Right: With his wife, Angeliki, at a Grecian Ball.